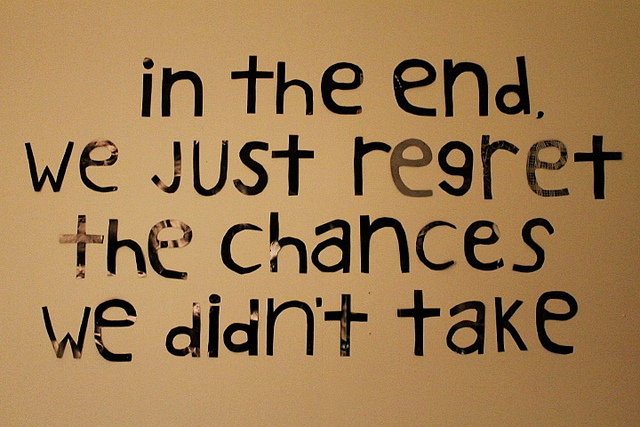 What Are You Going to Do With the Chances You Have Left? – Whats your superpower? What Are You Going to Do With the Chances You Have Left? If you had the resources to accomplish something great in the world, what would you do? I came across that question in a Strategy and Business article with a title that sucked me in: 40 Chances to Realize Your Goals by Susan Cramm, leadership coach and author. But what about those dreams we have, those ideas that we’ve been carrying around in our hearts for years? What about those things that stir our hearts and ignite our passion? Sometimes we are too afraid to be specific because it’s such a huge goal and we’re not quite sure, not only HOW we will achieve it but if it’s possible at all! If you had the resources to accomplish something great in the world, what would you do? Legendary investor Warren Buffett posed this challenge to his son in 2006, when he announced he was leaving the bulk of his fortune to philanthropy. Howard G. Buffett set out to help the most vulnerable people on earth – nearly a billion individuals who lack basic food security. And Howard has given himself a deadline: 40 years to put more than $3 billion to work on this challenge. Each of us has about 40 chances to accomplish our goals in life. This is a lesson Howard learned through his passion for farming. All farmers can expect to have about 40 growing seasons, giving them just 40 chances to improve on every harvest. This applies to all of us, however, because we all have about 40 productive years to do the BEST JOB WE CAN whatever our passions or goals may be. If you had a burning desire to accomplish something great in the world, what would you do? I removed resources deliberately because that’s where most of us let ourselves off the hook especially if resources for us really means MONEY. I would do this – if I had the money. I would get so much more done. I would accomplish so much more in my life – if I had more money. Blah, blah blah…. But change, any change we wish to see doesn’t start with MONEY. It starts with vision and action. It begins with a message passed from one person to another, until a conviction becomes a cause. Principle 1: Dig in. Am I acting with purpose and urgency in my life? Everyone has to start somewhere. Instead of kicking the dirt around, dig in and get your hands dirty.Every goal without a plan is just a wish. Start planning your goals at the root level. Principle 2: Grow tall. Am I taking smart risks? We make strong foundations to support ourselves.They empower us to take risks, try something different, and do something outside of the box. But growth comes from taking calculated, smart risks, always with your plan in mind. Principle 3: Don’t fear mistakes. Am I learning the right lessons from my mistakes? It’s okay to make mistakes. In fact, many of the things worth doing in life are accomplished because we make mistakes; they’re accomplished because we learn from those mistakes and take those lessons with us into the next chance. Principle 4: Be adaptable. Am I improving upon every chance I have? Seasons change. Unexpected events arise. We can’t control everything, but we can control how we react to the unforeseen. Adaptability ensues when we take our learned lessons and apply them to every chance we take. Principle 5: Prepare for tomorrow. Am I making the most of my chances in life? Concentrate your resources on needs that might not be met without your efforts. Making the most of your 40 Chances means working for today while preparing for the future. It’s about creating lasting change, knowing you’ve spent your chances wisely. The article that I mentioned at the beginning of this piece by Susan Cramm centred on Vicki Escarra. Escarra is the CEO of Chicago-based nonprofit Opportunity International, an organization dedicated to eradicating poverty by providing microloans. For 30 years, she worked for Delta Air Lines, serving in six different roles. Over her career at Delta, she took her chances and did her best, not always under ideal circumstances. But even as the company started soaring, Escarra found herself at a low point. “Is this all there is?” she asked herself, and decided the answer was no. At 59 years old, she understands that she has only a few chances left and is working as hard as ever to make the most of them. What about you? When you ask yourself if you could be doing more, do you find yourself at peace, perplexed, or panicked? Your answer may give you some insight on what you need to do with the chances you have left. Next postAre You Willing to be Completely at Peace with How Things are Right Now in your Life? Hi Giselle, great 5 principles! I realize these are kind of like chain letters and I normally don’t participate, but I received 2 award nominations last week and decided to participate this time. In my acknowledgement / nomination section, I nominated you for the Very Inspiring Blogger Award due to the great information you share and the way you strive for success. You inspire me. Take a look when you get a moment and thanks for all your great work Giselle and good luck as you continue to grow purple marketing! Zachary, you’ve got me speechless and I feel so tremendously happy that you benefit from my posts and are inspired. Thank you so much for nominating me and for encouraging me to keep it going.